The constant dumping of garbage and subsequent burning near the lake has irked the residents in the area. Bangalore, March 20, 2018: Residents in Purva Midtown Residencies in Dooravani Nagar lament as they struggle to find fresh air to breathe. Around 250 families living in the area complain about potential health hazards that might crop up as a result of garbage dumping and burning around the lake. Documents have revealed that in December, Rs. 3 crores was allocated for the development of Benniganahalli Lake but there hasn’t been any progress yet. 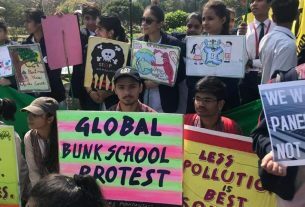 A silent protest was planned near the lake on 10th March, 2018 which addressed the issue of waste dumping. 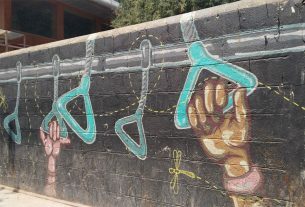 Several residents of Purva Midtown took part in this protest. Kala A, a resident of Pai Layout, said that they live opposite to the lake and walk regularly in the area. “As the condition of the lake is very bad, we took the initiative to clean the garbage around the lake, but it was of no help because people keep dumping and burning the garbage there. BBMP only cleans the walking trail but the condition of road and lake is still bad,” she said. Last year in April, a fire broke out and spread near Benniganahalli Lake due to the garbage burning in the area. 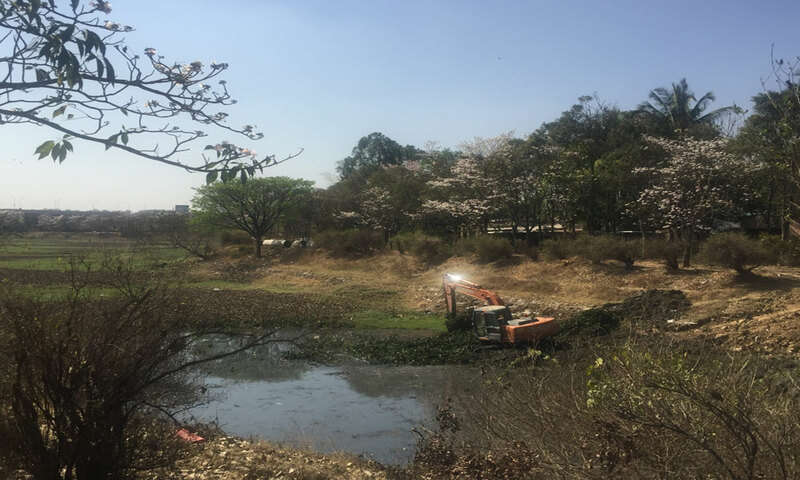 Asha Varghese, a resident of Purva Midtown, said most people bought houses in Purva Midtown because of the lake view and now the same lake is posing as a health hazard. “People living in Block A are the ones affected the most due to the garbage dumping and burning as the wind from the lake blows directly towards their houses”, said Asha. Krishna, Vice President of KR Puram constituency Association Welfare Federation, said that BBMP has allocated funds and is rejuvenating the lake. “We will have to ask the residents to take an initiative to prevent the garbage dumps,” he said with regard to the aggrieved families in the region. 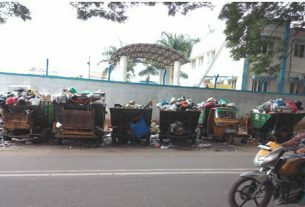 B Chandrappa, BBMP Health Inspector said that, as the garbage menace has increased, he is going on rounds in that area everyday. People, who are living around the area, are suffering and hence, they are trying their best to bring this problem to an end.